As summer approaches, you’ll notice there are more social media events on the calendar so there’s a lot of opportunities for you to get involved to both promote your online shop and organically increase your followers. If this is the first post of the series that you’ve read, then it’s definitely worth reading this post beforehand which explains terminology, the kind of content you should be creating in terms of videos, flatlays and still images and how you can automate it entirely, freeing up more of your daily time to concentrate on running your business. This month, I’ve mentioned on a handful of suggestions Instagram Shopping – this is something I strongly recommend that you set up on the Instagram account you’ve set up to promote your shop. This isn’t something you need to set up with your ecommerce provider, but rather something that you set up on social media entirely. You will need to have a Facebook Page for your online shop which has a Shop tab and your products added to it before you begin, as Instagram refers to this Shop tab when it allows you to tag your products in posts. If you’ve not yet set up a Facebook Page, this Guide should help you. How do I get involved with the events? Essentially, to get involved on a minimal level, all you need to do is make a status about the event and tag the event in it. However, you have to bear in mind that lots of individual users, businesses, charities and similar will be doing the same thing – so you need to make sure that your content stands out from the rest. What events you choose to get involved with depends on your brand and the products that you sell, although with a bit of imagination, you could get involved with most of the events and tailor the posts on your online shop’s social media accounts to suit your target demographic. Ultimately, you will need to choose whether the post is ‘Business’ – related to your brand and your products or if the products that you sell can’t be related to the event, then you can make a ‘Personal’ post about yourself and the people behind your company. Done well, this is very authentic and if you can make it relatable too, it’s an excellent opportunity to gain new followers and on the back of that, new customers. 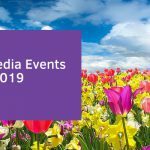 Public Events – These are things that are ‘trending’ in the real world, that everyone, regardless of whether they use social media or not, will be aware of. Examples include royal weddings, sporting events such as the Tour De France, public bank holidays and days of celebration, like Christmas and Halloween. Charity Events – These are events that trend whose sole purpose is get folks involved in supporting a charity by completing a specific action, such as Movember (where men are encouraged to grow moustaches to raise and awareness of men’s health whilst earning donations for the Movember Foundation). Other popular examples are Jeans for Genes and MacMillan’s World’s Biggest Coffee Morning. To get involved with these kinds of events, you can simply join in, make a donation or go one step further and collect on the charity’s behalf. Make sure however that you support charities that mean something to you personally, and if it relates to your customers too, all the better. Fun Events – These events are silly events that are just for fun and exist mostly online only. Talk Like A Pirate Day and World Goth Day are good examples. Fun events are often concentrated on food and drink too – such as National Buffet Day and Ginuary – so it’s important that if your own products relate to these events that you take part. Fun events are useful if the products on your online shop are difficult to relate to other events, as you can still get involved using photos or videos of yourself – and your staff if you have any – but make sure your branding is visible in the content. What you could do for a Business post: The Theme for this year’s National Share-A-Story month is Travelling Tales with particular emphasis on trains, boats, planes and journeys through space and time. Schools will be downloading the relevant resources from the official website, but if your online shop retails children’s books, and especially if travel is the central theme, you need to promote these items in the weeks leading up to the event as well as the day itself. Consider creating flatlay images, or using famous quotes from the books in image format to populate your social media posts with. What you could do for a Personal post: If you have primary school age children that are getting involved with this event, share with followers what they’re reading (or what you’re reading to them!) for National Share-A-Story Month. What you could do for a Business post: This is an American parody event to raise awareness of the issues that could occur during a zombie apocalypse. Of course, if your online shop sells anything zombie related, such as merchandise from The Walking Dead, 28 Days Later, Resident Evil, Night of the Living Dead or similar, this event is an ideal opportunity to promote your wares. The Zombie Research Society website offers some useful advice and inspiration for taking part too. What you could do for a Personal post: Your involvement with this event does depend on the kind of products you have on your online shop, but if you just want to take part, post about your favourite zombie films and shows, and look up #zombieawarenessmonth on Instagram for some inspiration. What you could do for a Business post: Just Walk is the event by the British Heart Foundation, held to celebrate National Walking Month. You can read more about getting involved and access resources on the official website, which will provide plenty of social media content. Also, if you retail products that would help you walk to work, such as trainers, waterproof coats and so on, this would be a good time to show off these lines a series of photos, videos and Boomerangs. What you could do for a Personal post: You could release a series of posts, detailing you organising your own walk to raise money for the British Heart Foundation, from picking the distance and the route, to the day of the walk and the equipment and clothing you’re taking, providing an online experience for those of followers who can’t do a walk themselves. If you pass anywhere particularly picturesque, it may also be worth doing a Facebook/Instagram live to your followers too. What you could do for a Business post: If you’re based in Yorkshire anywhere near the official routes – which you can check on the official website – you have plenty of content to begin with in terms of views of the race, tourists and your own local knowledge. Obviously, if you’re a supplier of cycling equipment, bikes and accessories, you need to be promoting your products as much as possible during the event. What you could do for a Personal post: You could do some posts based on the suggestions above, or alternatively, talk to your followers about cycling as a subject. What was your first bike? Were you lucky enough to have a Chopper? This then encourages conversation centred heavily around nostalgia, which should encourage conversations with your followers. 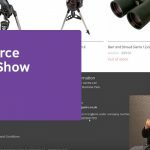 What you could do for a Business post: If your online shop sells anything Star Wars related, this is the event for you to show off your Products in videos, images and Boomerangs, both before and during the day itself. There’s also plenty of inspiration to be found on the official website. What you could do for a Personal post: If you’re a fan, you’ll no doubt have some Star Wars memorabilia handy for Instagram posts. Equally, if you have any photos of you dressed up as any of the characters from fancy dress parties past, then be brave and share those with your followers and enco0urage them to do the same. If not, make text images of quotes from the films, and just wish your followers a Happy Stars Wars Day. What you could do for a Business post: In honour of firefighters who have lost their lives saving ours, this event raises awareness of these unspoken heroes. On the official website you can make donations to the Trust and make posts about why your followers should support this cause. What you could do for a Personal post: It’s just £2 to purchase a wristband to support this cause, so do so before the day and show your support in a selfie of flatlay to encourage your followers to do the same. What you could do for a Business post: Originally established in Birmingham, this event is growing in size across the country, as folk can either take part by simply getting up early or get involved with some of the group activities on offer. The website explains more, but to take part yourself as a business, if you retail birdhouses or anything related to wild birds and outdoor walking, you can show off your product lines in flatlays, Boomerangs and especially videos if you get up early to listen to the Dawn Chorus yourself. What you could do for a Personal post: As suggested above, go out and listen to the Dawn Chorus on this day and take lots of photos and videos for you to use on your social media throughout the morning. If you’re feeling particularly brave, you could even find a spot where the birdsong is the loudest and attempt an Instagram/Facebook live session to broadcast it to your followers. What you could do for a Business post: This year, the Red Cross is asking everyone to do one kind thing and shake a bucket. You can find out more details about getting involved on the website and if you have your own shop premises that customers can visit, it would be a good idea to get your own bucket for both social media purposes and to increase footfall for the day. If you want to do this, be sure to advertise a week or two in advance and reach out to local followers to come and support your fundraising. What you could do for a Personal post: There’s an official Twitter account you should follow for inspiration, but ultimately, you can donate to or volunteer for the charity and spend the day doing good things for people, documenting your adventures on your social media, which should start a conversation with your followers and encourage others to do the same. 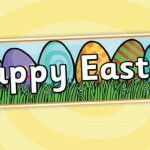 What you could do for a Business post: Regardless of what your online shop sells, a bank holiday is a good reason for a sale, particularly if your products can be related to people having time off working and relaxing. Be sure to advertise your promotion a week or two in advance on social media to encourage anticipation. What you could do for a Personal post: Ask your followers how they’re spending the bank holiday, and if you don’t have any plans, ask them for their recommendations. Whatever you do – and particularly if it stemmed from a follower’s suggestions – be sure to document it for your social media content. What you could do for a Business post: The sole purpose of National Doughnut Week is to raise funds for The Children’s Trust. You can get involved on the official website, registration for the event and it’s a great way to encourage footfall if you have a physical shop that customers can visit and create lots of social media around the event. What you could do for a Personal post: If you want to support the event, purchase doughnuts as normal and encouraging your followers to do the same, but on each post, be sure to add the link to The Children’s Trust website to encourage donations. You could also make videos and Boomerangs setting your followers challenges, like eating a doughnut without licking your lips or sharing a box of doughnuts where one doughnut is filled with chilli sauce instead of jam. What you could do for a Business post: The purpose of this event is to raise awareness about the importance of children’s health, rights and freedom. If the product’s on your online shop can be related to children in support of this event, it would be worth getting involved via their website where you can register your interest and download a media pack which can help you generate social media content for the day itself. What you could do for a Personal post: If you have children, and you’re happy to do so, share pictures of what they’re getting up to for National Children’s Day. Alternatively, use your own child photos and encourage your followers to do the same to raise an awareness of the event, or challenge your followers to challenges – such as doing something today that they’ve not done since they were a child themselves, such as flying a kite, playing on swings or eating retro sweets like Sherbert Dibdabs or Flying Saucers. 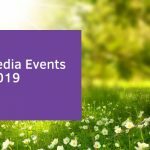 What you could do for a Business post: You can read up on this event and access media on the British Association of Dermatologists website but ultimately, it’s all about reminding people how dangerous sun exposure can be. Therefore, if your online shop retails suntan lotion, hats, parasols or any products that protect your customers from sun exposure, this would be an event that you need to get involved with and a promotion would do well here too. What you could do for a Personal post: If you’re a lover of safe tanning, then compile a list of advice and recommended products that you rely on in a series of text images and flatlays where possible. You can also do a comedic version of this if you hide from the sun at all costs, by listing essential advice for anyone actively trying to avoid sunshine completely. What you could do for a Business post: The official website for this event offers a wealth of resources and ideas for getting involved. The theme for this year’s event is Body Image and thanks to celebrities such as Jameela Jamil and her I Weigh movement, plus her following on Instagram and Twitter, the hashtags for this event and surrounding body image are very popular. If you can relate your products to making customers feel beautiful in their own skin regardless, then you need to get involved with this event. What you could do for a Personal post: If you’re comfortable with it, you could share a story with your followers about your own issues with mental health or body image, but if you don’t fancy that, then instead begin a conversation about figures that you admire that have done a lot for mental health awareness, such as Stephen Fry, Ruby Wax, Jon Richardson, Chrissy Teigen and Lady Gaga. What you could do for a Business post: Visiting the website will give you a brief history about this fridge staple, and links to the social media profiles associated with the account. If your online shop sells kitchenware and gadgets that could be used for cooking hummus, by all means, get involved with this event by posting flatlays of your products on Facebook and Instagram. What you could do for a Personal post: Have you ever tried to make your own hummus? There’s a wealth of tasty recipes on Pinterest, so you could make videos, Boomerangs and posts about your attempts to make your own and share these with your followers to take part in this event. What you could do for a Business post: If your online shop sells anything related to cocktails – glasses, shakers, accessories and so on – you need to get involved with this event. The website at the time of writing is still listing details for last year’s event, so it may be worth a visit nearer the time. Ultimately, your aim is to show off your products as cocktails are certainly aspirational and trend well as images. What you could do for a Personal post: Can you mix a cocktail, or have you ever tried creating your own? Make videos and Boomerangs to share on social media of your mixology adventures, and list the ingredients to encourage followers to make their own or suggests different twists on classic recipes. What you could do for a Business post: If your target customer demographic is vegetarians and those with healthy eating habits, you need to get involved with this event. If your online shop sells cooking accessories, kitchen gadgets or consumables which are part of a plant-based diet, then this is ideal for you. Visit the website in order to access resources and show your support on the day. What you could do for a Personal post: There are lots of ideas on the website to give you some inspiration for social media content for this event, and trying new things on video is something highly encouraged, as reactions to the new food are what makes the content relatable, sharable, and a fantastic conversation starter amongst your followers. What you could do for a Business post: The aim of National Smile Month is to promote oral health and raise money for the Oral Health Foundation. If you look at some of the social media for last years’ event, you’ll notice most folks in photos have a ‘Smiley’ which can be purchased online. To support this event, it would be worth buying a multipack of Smileys (a pack of ten costs £1.75) and taking selfies with your staff and customers to raise awareness of the cause. What you could do for a Personal post: As above, purchase a Smiley and share your selfies with your followers. Smileys can also be applied to dogs, cats, rabbits, babies, toddlers and anything with a face, so use your imagination and create lots of selfies to raise awareness of the event. What you could do for a Business post: This is part of National Walking Month listed at the beginning of this blog post, but this is the week-long version for children to take part in. Simply visit the website to find out how you can take part. If your online shop sells items that children would require on a walk to school, particularly wellies, raincoats and so on, now is an ideal time for you to promote your product lines in a series of product images to promote yourself alongside this event. What you could do for a Personal post: If you’re walking your own children to school and you’re happy to have them involved in your social media, then that should provide enough content for you, especially if you’re raising money either with their school/nursery or raising money independently as a family or individual. What you could do for a Business post: This event is celebrated at museums all over the world. Some museum events can last a day, whilst others can last all month, showcasing exhibitions especially for this event. To support this event, you could share posts on your social media from your own local museums to promote the events they’re holding – if any of the products on your online shop tie into their exhibition (such as books about history, prints of famous paintings, retro toys) then you should be able to create content promoting both your products and your local museums quite easily. There’s also an official website which is worth a look alongside the websites for your own local museums. What you could do for a Personal post: If you don’t get to make it out to and support your local museums on the day, why not make posts about a bucket list of museums that you’d like to visit? YouTube channels such as The Carpetbagger visit lots of museums regularly which should give you some inspiration for your own social media content. What you could do for a Business post: The official website has a wealth of resources and information regarding this event, which is run annually on the third Saturday of May. If your online shop sells whisky, whisky glasses or anything related, this is an ideal time for you to run promotions and post product images to take part in this event. What you could do for a Personal post: If you drink whisky regularly, you could recommend some of your favourites to your followers. Alternatively, you could post about alternative uses for the tipple, such as cooking, cocktails and cleaning (yes, really), with a range of stock photos and text images on your social media. What you could do for a Business post: This is a big event for you if your target customers are involved with cooking, plant-based diets and food production. The official website has lots of resources for you to look at, and there’s lots of content that can be found on social media using the hashtag #britishtomatofortnight which should give you an idea of which of your products would do well when promoted alongside this event. What you could do for a Personal post: To get involved with this event, you could cook your favourite tomato dish – ideally as a video with ‘before-and-after’ style shots or alternatively, you could post about facts and recipes which involve this fruit, using the relevant hashtags to join on with the event. What you could do for a Business post: If your target customers are the kind who regularly attend various music festivals all summer, one of the first on the calendar is We Are FSTVL in London. If your online shop sells clothing (especially classic, festival style staples), camping equipment and other items that would make their festival experience more pleasurable, you need to get on board with this event, by posting about your products in a range of flatlays and ‘in-use’ photos where possible. The hashtag #weareFSTVL and related version of it are already in use, so get creative and perhaps run some promotions too in the run-up to the event. What you could do for a Personal post: Ideally, you could attend We Are FSTVL to generate lots of social media content, but if that’s not possible, you could post old photos of yourself at past festivals and how much you wish you were going to this one, or ask your followers who are going and which act they’re looking forward to seeing once they get there. 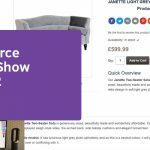 What you could do for a Business post: As a business, if your online shop sells barbeques and barque accessories, then it’s worth visiting the official website for this event if you want to be a sponsor. Alternatively, add hashtags for the event to posts of ‘in-use’ style pictures of your products. This would be especially effective if you also have a dedicated Instagram account for your online shop and Instagram Shopping has been activated. What you could do for a Personal post: If you’re having a barbeque of your own this week, obviously, take lots of photos, videos and Boomerangs of your food, your friends and so on for your social media content. If you’re unlucky and the weather just isn’t good enough, you could ask your followers what the weather’s like in their part of the country and how their barbeques are going. You could also post text images about your own essential barbeque staples or classic marinade recipes for those preparing their barbeque food in advance. What you could do for a Business post: Believe it or now, there is an official website for this event which is worth a look at if your online shop retails items that are aimed at the goth lifestyle – movie memorabilia, music, books, pictures and housewares with a gothic vibe to them will do well with this event. Again, if you have an Instagram account set up especially for your online shop, make sure you have activated Instagram shopping to show off your products whilst still including that #worldgothday hashtag. What you could do for a Personal post: If you are of an age where you definitely had an awkward teenage phase of being a goth, then publish those old photos for your followers, letting them know what your influences were at the time. Alternatively, if you were lucky enough not to have done that, you could simply create a post using stock images and text to wish your followers a happy World Goth Day. What you could do for a Business post: Although according to the website this is an American event, but the hashtag itself – #worldturtleday – is very popular on Instagram and Twitter. If you sell pet supplies and particular tanks food and accessories for turtles and terrapins, this is a good event for you to get involved in. Share your product knowledge and that of the species in a series of ‘in-use’ images which will help you stand out from your competitors and give potential customers a reason to follow you. A promotion could work really well leading up to the event too. What you could do for a Personal post: If you were lucky enough to have a tortoise or a terrapin as a kid (as they were quite popular in the 80s) then if you have any photos of you and your pet together, share those. Alternatively, use stock images to join in with this event and you could also open up a conversation about conservation with your followers. What you could do for a Business post: If your online shop retails wine, wine glasses, bottle openers and anything vaguely wine-related, this is the event for you. The official website should give you plenty of ideas regarding the kind of content you can create and promotions which would perform well according to your product range. There’s also a Twitter profile which would be worth following too. What you could do for a Personal post: If you’re a wine lover, recommend your favourite English wines to your followers with suggestions for the best meals for it to be served with. Alternatively, do a spot of research and write up some facts about English wine, which can then be added to stock photos and text images and then shared with your followers. What you could do for a Business post: Just like the earlier Bank Holiday this month, regardless of what your online shop sells, a bank holiday is a good reason for a sale, particularly if your products can be related to people having time off working and relaxing. Be sure to advertise your promotion a week or two in advance on social media to encourage anticipation. What you could do for a Personal post: Again, ask your followers how they’re spending the bank holiday, and if you don’t have any plans, ask them for their recommendations. Whatever you do – and particularly if it stemmed from a follower’s suggestions – be sure to document it for your social media content. What you could do for a Business post: This is more of a parody event on social media, but still something that’s very popular with the hashtags #nationalbiscuitday and #biscuitday on Twitter and Instagram. If you sell crockery, product images of cups, plates and saucers with biscuits as the accessory will do well here. What you could do for a Personal post: Talk a selfie of you eating your favourite kinds of biscuit, or create your own top ten of British biscuits. Open up a conversation with your followers about favourite biscuits and even biscuits that you used to love that you don’t see so often now, like Trio or Kitkats in ‘proper’ foil wrappers. What you could do for a Business post: According to the official website, the focus of this event is on tobacco and its effects on lung health. The website does offer some inspiration, but if your online shop retails ecigs and their accessories, you need to get involved with this event to encourage more followers to take up smoking an ecig instead of continuing their smoking habit. You would do well be research some facts about how damaging tobacco smoke can be and some facts about how affordable and safe your ecig products are, with product images and ‘in-use’ photos used where possible. What you could do for a Personal post: If you ever smoked, what made you start, what made you stop and what kind of habit did you have? Discuss this with your followers, especially if you can accompany it with some old photos of you smoking and start a conversation with them to find out if anyone’s planning to quit or how they quit. Next month, we’ll be publishing a list of events that are due to run during June 2019 so you can plan ahead for that month too – be sure to subscribe to our blog so you get a notification of when the next month of our Social Media Calendar is published.